You are here: Home / Hot Topics / Is It Necessary to Hire an Employment Lawyer? In the fast-paced world of employment, there is always the potential for issues to arise among employees, between employees and employers, and between employers and the customers. There are also cases when issues arise between employers and the government during the former’s performance of his tasks. Some of the issues that arise in offices include harassment, wage issues, contract disputes, and workplace compliance in general which covers work safety and compliance with government regulations, among others. Most companies consult with external firms for these cases, when is it the right time to hire an in-house employment lawyer? The amount of legal matters and potential issues increases as a company keeps growing. When your operations have become so expansive that outsourcing is no longer cost-efficient, it might be time to start looking for an in-house employment lawyer who could offer more specialized support. It’s unavoidable for a company to terminate or lay off employees. But how do you distinguish certain situations that can possibly create legal violations? A business organization needs to take actions bound by legality. An employment lawyer can assess whether the termination is in compliance with the law. The process involves obtaining evidence to support the claim. An employee will work with a lawyer in determining the best resolution for the case such as securing damages and monetary compensation against the other party. The company’s in-house lawyer could then examine and review the contracts and see if an agreement can be – or should be – reached. It’s also necessary when you need to lay people off. Ending employment contacts is no small matter so you want to ensure that you are in compliance with the law. An employment lawyer in the office could write, review, and update company policies as needed in order to meet changing requirements brought forth by legislation. A company has to make sure that their policies do not violate laws on workplace safety, overtime pay, and leaves. 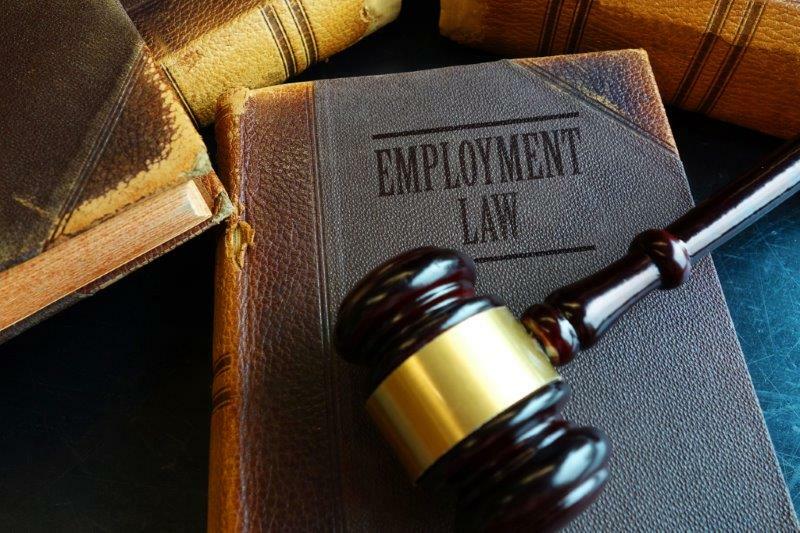 Experts in employment law can quickly review employment-related documents such as employment contracts and severance agreements. They can make sure that the documents contain precise terms that could stand up in court. The scope of workplace compliance is pretty massive. There are numerous laws and policies that apply to the performance of an employee’s tasks and the companies responsibilities. This vast legal framework covers areas such as OSHA (Occupational Health & Safety), manufacturing standards including food safety, and even human rights. In addition, compliance issues such as unpaid training and excessive overtime can affect the well-being of employees, which is essential for the company’s operations. The complexity and the type of requirements for workplace compliance also vary greatly, depending on the structure of the business, the industry, and the nature of the business. For example, a restaurant will have to comply with food safety regulations which include standards for handling, preparing, and storing food. A company operating data centers will have to comply with privacy and data protection laws. While companies generally implement policies in order to create a safe workplace that adheres to government regulations, there are cases when compliance violations do occur. These could have serious consequences to the brand or the company. Not only could this lead to costly fines and lawsuits, but also to an even more expensive blow to their reputation. Employees should know their courses of action, and companies should be equipped to handle these things. An employment lawyer could make that possible. HR alone couldn’t, especially if the issue is massive and could generate interest from the media. Wage disputes can be highly complicated. In an employment setting, a wage dispute can be classified into wage negotiations or withholding of wages.State and federal laws require an employer to pay minimum wage to the employees. If payment of salary is different from what was promised, it is also important to look at the employee-employer contract. The amount of wage and contract duration should be present in the contract for the employee to file a claim. Harassment in the office can happen. Remember that this does not only constitute sexual advances but also discrimination and other physical harassment. This can include verbal attacks like name-calling, insults, and innuendos as well as physical attacks like groping, hitting and other unnecessary touching. According to CNBC All-America Survey in December 2017, 1 in 5 American adults have been a victim of sexual harassment at work. There are other unreported cases due to fear of retaliation and other consequences.An employment lawyer can assess whether or not the harassment is illegal under the law. He cancome up with a resolution for the issue. Employers are never allowed to discriminate against ethnicity, religion, sexual orientation, physical disability and any other protected classifications. In the US, this is protected under Title VII of the Civil Rights Act of 1964 enforced by Equal Employment Opportunity Commission or EEOC. Apart from Title VII, there are also other laws that protect certain classifications. American Disabilities Act of 1990 (ADA) for people with disabilities. Before an employee can file a lawsuit, it is important to bring the case first to EEOC. The agency will conduct an investigation which may require interviews and additional documents from other parties. EEOC will try to come up with a solution and attempt a settlement in the event that discrimination did happen. If a settlement is not successful, EEOC will authorize the employee to file a lawsuit. Let’s face it, employment law is complicated – and expensive. Employment lawyers can protect the interests of their client. For companies, in-house counsel specializing in employment law can minimize liabilities. They can help get disputes resolved in a timely manner so you can minimize the damage and start rebuilding your name. Author’s Bio – Jon is fond of reading, writing & meeting people. He loves writing about Employment Lawyer Brighton. In a former life, Jon worked as a content specialist and has good knowledge about employment policies & law. I like that this article talks about how an employment lawyer can make sure a termination complies with the law! I have a friend who was recently fired and feels it was unjust, so hiring an employment attorney in her area may be beneficial to her because she may be eligible for compensation, and the lawyer could help her discover that if so. I like how you said that an employment attorney can help you determine if your termination was in compliance with the law or not. I was recently terminated from my job and think it may have been due to my religious personality. I’m not sure how to go about proving the non-compliance with the law, so I think I’ll go ahead and start looking for a lawyer to help with that.